A man died in a car crash as he suffered a suspected medical episode, police say. 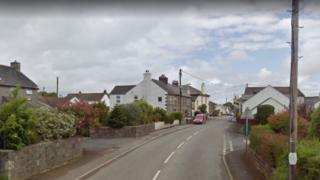 The accident happened in the village of Leedstown, near Hayle in Cornwall at about 12:45 BST, Devon and Cornwall Police said. No-one else was injured in the crash, with the victim the only occupant of a white Citroen. Fire and ambulance crews also attended the scene, where the man was later declared dead.